Bulletin Corner from movies to music all the way to games and anime's, and entertainment. Academy Award-winning director Brad Bird (Ratatouille) makes his live action feature directorial debut with the fourth installment of the massively successful Mission Impossible series. The Kremlin has been bombed, and the blame has fallen on the IMF. As a result, the president initiates Ghost Protocol, and accuses Ethan Hunt (Tom Cruise) and his team of placing the bomb in an attempt to incite a global nuclear war. 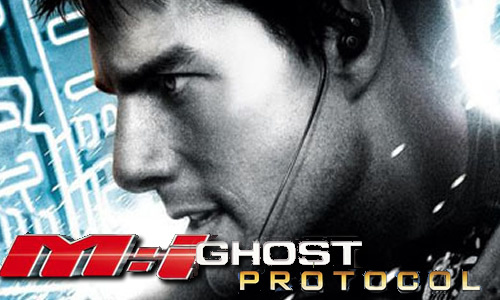 This entry was posted on 3:30 AM and is filed under Mission Impossible: Ghost Protocol, Tom Cruise . You can leave a response and follow any responses to this entry through the Subscribe to: Post Comments (Atom) . a fashion designer and couturier best known for her profound understanding of bespoke clothing and her proclivity to underscore female strength and sensuality with fragility in her collections. Philippine BAR EXAMINATION RESULT - To those who have a relatives in the Philippines who take the BAR exam here is the link where you can view the result for 2010 examination. Good Luck!